The African Centre for Energy Policy, ACEP, fears Ghana’s reeling power sector may not rebound soon in the face of the financial and distribution challenges facing the sector. The energy policy think tank also believes the inefficient management of the distribution companies has resulted in the financial challenges confronting the VRA. According to the Executive Director of ACEP, Dr. Mohammed Amin Andam, the fortunes of the power sector will change for the better only if authorities expedite action to correct the financial and technical inefficiencies that have thwarted the performance of the sector. “I have difficulty seeing that end as far as the financial and poor management challenges with the distribution companies persist. The distribution companies are not performing well, that is why they are unable to pay the bills for the purchase of power from the VRA and so you cannot have the VRA being so strong with the distribution being so weak; you need both of them to be strong,” he stated. Dr. Amin Andam’s comments follows sentiments by some industry watchers who fear the energy challenges are largely as a result of financial difficulties and not necessarily technical inefficiencies. This also comes on the back of a recent announcement from the government through the Ministry of Finance, plans to restructure the VRA’s debts owed some top banks in the country. According to the sector ministry, the restructuring will among others see an extension of the maturity of the debts to five years. Also, government is seeking that the interest rates on the cedi and dollar components of the debt are reduced from 32% to 22% and 11% to 8.5% respectively. Dr. Mohammed Amin Andam also believes the long standing issue relating to the finances of the VRA could be addressed when a proper financial model is put in place to enable the VRA claim all outstanding debts and improve its liquidity. He also fears the projections by the Energy Commission that Ghana will spend in excess of 1.5 billion dollars to purchase fuel could have dire consequences on the country if the current situation remains unresolved. “The Energy Commission estimates that we will need about 1.18 billion dollars this year which will increase to about 1.5 billion dollars next year just for fuel procurement alone so if fuel can cost the VRA as much as 1.5 billion dollars for just a year and yet its liquidity is very poor, then it must begin thinking of a financial model that can help sustain the finances of the utilities. One of these is that the government must pay all its debts and the other is that a system must be put in place to ensure that the companies are accountable to each other,” Dr. Andam further remarked. The ACEP boss spoke to Citi Business News on the sidelines of the launch of the think tank’s report on the Citizen’s Energy Manifesto. The Citizen’s Energy Manifesto is a program which seeks to enlighten electorates to hold political leaders accountable in the management of the country’s energy sector. 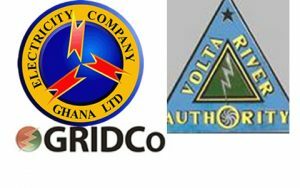 The report among other things explained that the citizens will prefer that the government’s engagement in restructuring the ECG should involve a five year renewable performance based management renewable contract rather than the concessionaire approach it has currently adopted. “Throughout the consultations the citizens rather prefer a contract which is a five year renewable performance based management renewable contract. The citizens are not in favour of a concession but a five year performance based management contract. So we will put this out so the political parties that want to respect the views of the citizens and take them into their manifesto, fair enough. But if they don’t, the citizens will know which political parties are responding to their aspirations and will vote accordingly,” the report said.